detailed technical documentation is available at netjsonconfig.openwisp.org. netjsonconfig is now the official configuration engine of the OpenWISP 2 Controller. for more information you can take a look at How to install OpenWISP and Introduction to OpenWISP 2.
netjsonconfig is a python implementation of the NetJSON data interchange format, more specifically the DeviceConfiguration object. Yesterday I issued a 0.1 beta pre-release and I am now testing it on several different routers. When I talk about this library some people usually ask me why did you re-implement UCI in JSON?. A short, over-simplified answer would be: it's a very good approach if you have to mass manage router configurations via web applications. But to properly explain the benefits of this approach I have to put the discourse in the right context, so I will try to give a longer, more detailed explanation in this post. My work involves managing thousands OpenWRT access points, ensure their configuration is up to date, monitor them and so on; you cannot do this manually, think about when you need to change settings like VPN termination, or the name of the SSID, you need some sort of automation. There are a few controllers that are designed to work on these tasks, and there are even a few ones which are released with FLOSS licenses. The need for this library has arisen while working on the OpenWISP Manager project (from now on OWM), a ruby on rails web app that allows to mass manage OpenWRT devices flashed with a specific firmware (OpenWISP Firmware). OWM has some really cool features, but also some limitations which make it hard to extend and make its usage unsuited in other settings outside the municipal wifi arena. adding new configuration options in the web interface requires to alter the database: writing a rails migration file, adding the field in the UI and then add the generated line in the UCI templates; in 2015 (almost 2016) we can do better than this! I have looked at other wifi controllers, but I have found pretty much the same limitations in all of them. The things that bothers me most is that this kind of software (even OpenWISP) it's all or nothing: you either use the entire stack or choose a different stack, which reminds me of a certain IT company with a fruity logo ;-) ... not nice at all. I have also studied the NETCONF RFC, which I considered for some time, but abandoned after understanding its complexity are not suited for my own use. I need something SIMPLE, possibly based on JSON (because it's easier to use in web apps). I started working on netjsonconfig to overcome the limitations found in OpenWISP Manager and the OpenWISP team greeted the idea and supported it. Regarding problem n. 1, netjsonconfig is a standalone, pure python library with very little dependencies (check the requirements.txt). Python is widely used in the networking community, but the library ships an executable command line utility that may be used from shell scripts or other languages as well (by spawning a new process to execute the netjsonconfig utility, eg: the subprocess module in python). Regarding problem n. 2, netjsonconfig introduces the concept of "backend": in version 0.1 there is an OpenWrt backend, which generates an OpenWRT configuration, the next version will ship an OpenWISP Firmware backend. It will be possible to add other backends (an AirOS one would be really useful for some community networks) to the library itself, or alternatively, custom backends can be published in separate packages. Problem n. 3 does not concern netjsonconfig directly because it involves dealing with a database and a web UI, which according to our plan, will be implemented as a separate program which will make use of netjsonconfig behind the scenes. To be more specific, my idea is to write a reusable django app (see the link to know more about what a reusable django app is) which will be easily integrable in larger projects. The app will use a single JSON field to store the configurations in NetJSON DeviceConfiguration format. In a production environment the json field will very likely be stored in a PostgreSQL Binary JSON column, but I want to make sure SQLite works fine too, in order to make installation easy. Regarding the web UI, it will likely be automatically generated leveraging JSON Schema which both NetJSON (see Device Configuration schema) and netjsonconfig (see OpenWrt custom NetJSON schema) use. There are in fact a few implementations that automatically generate a good enough web UI from a JSON Schema. no more messing with database migrations; no more messing with UI unless extremely necessary. such reusable django app is now released as django-netjsonconfig. Regarding problem n. 4, netjsonconfig follows the unix philosophy and deals with configurations only, which makes it easy to use, test, document and contribute to. Remember: solving one problem is easier to get right; trying to solve many complex problems in a single codebase probably means heading for trouble. 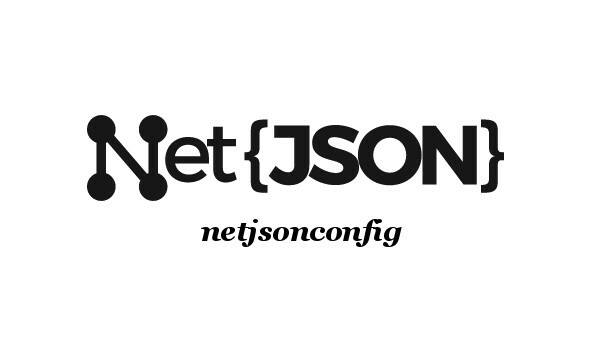 Here's a working NetJSON DeviceConfiguration object stored in a file, eg: ./config.json. With the render method of the OpenWrt backend we will get a uci import compatible output. Each file will contain the correct UCI config options relative to its package. That's all I got for now. If you like these ideas and you want to try hack some code with me, get in touch with me, I'll be more than happy to discuss and collaborate! If you want to keep up to date with the development efforts, follow the OpenWISP twitter account or the watch the netjsonconfig github repository.